We are excited at the prospect of connecting with you this Easter at CCB! If you have children or plan on parking in our overflow section (shuttle provided to and from) at BHS you can sign-up by following the links after clicking on the picture. When you pre-register your child we can have them entered into our check-in system ahead of time helping to speed the process up for you and the one being checked-in. 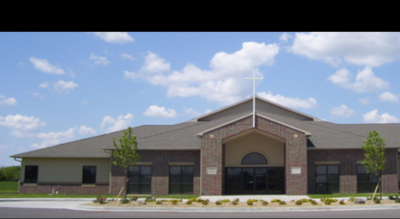 Community Good Friday Service at 6:30 pm (April 19th) here at CCB. CCB Family, this past week Jeri Carpenter gave her letter of resignation to us. We are excited about what God has in store for her and Scott as they transition to Branson. All interested parties need to have their resume' and cover letter to us no later than April 17th. The job will be approximately 30 hours a week and is an hourly position. Confidentiality is a must as well as excellent computer skills and a willingness to learn on the job. We are also looking for someone with a heart for people and Christ that will help us in our mission and vision. Your story of generosity can start today by downloading the GYVE App. Available on IOS and Android. Once you have downloaded look for the CCB logo. Once you have done that follow the instructions and begin your journey of generosity. Round-Up to the nearest dollar and all you change will go to the mission of the church helping people discover their story. Give Regularly, One Time and for specific events as we set them up. Part of our mission at CCB is to "equip" you for your journey of faith. 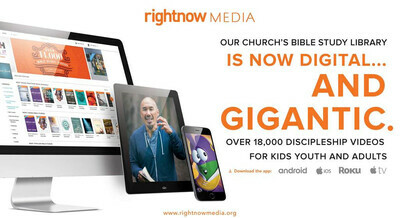 We at CCB want to gift you RightNow Media the largest online BIble Study/Christian Video Library in the world. There are over 10,000 Bible Studies, Children's Shows and many other tools to help you on your journey. All you need to do for this gift is fill out a form with your contact infomation. Our purpose for gathering your information is so we can better communicate with you and your family and also better help you in your journey with Jesus.